"We are elderly people who want to live the rest of our lives in a peaceful way and spiritual atmosphere. We would like to prepare ourselves for the last journey in this life. We are blessed to be able to live here in the Aum Pranava Ashram and to be cared for in this surrounding with the children. We are grateful to all the supporters and to the founders for allowing us to be here. Thank You." Security and provisional plans for retirement are hardly realistic for people from economically deprived environment. 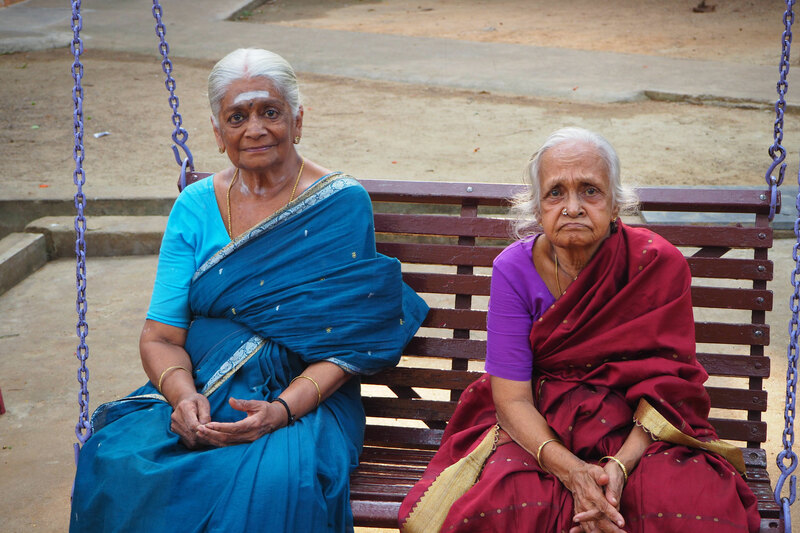 Since the traditional family structures are splitting up rapidly in India as well, the challenges for seniors to find a secure place in society are tough. In so many cases, harsh realities have replaced family care and support. Seeing the plight of an ever increasing number of elders without family or anything else to fall back on, an old-age home and 2 sick-ward rooms for a max. 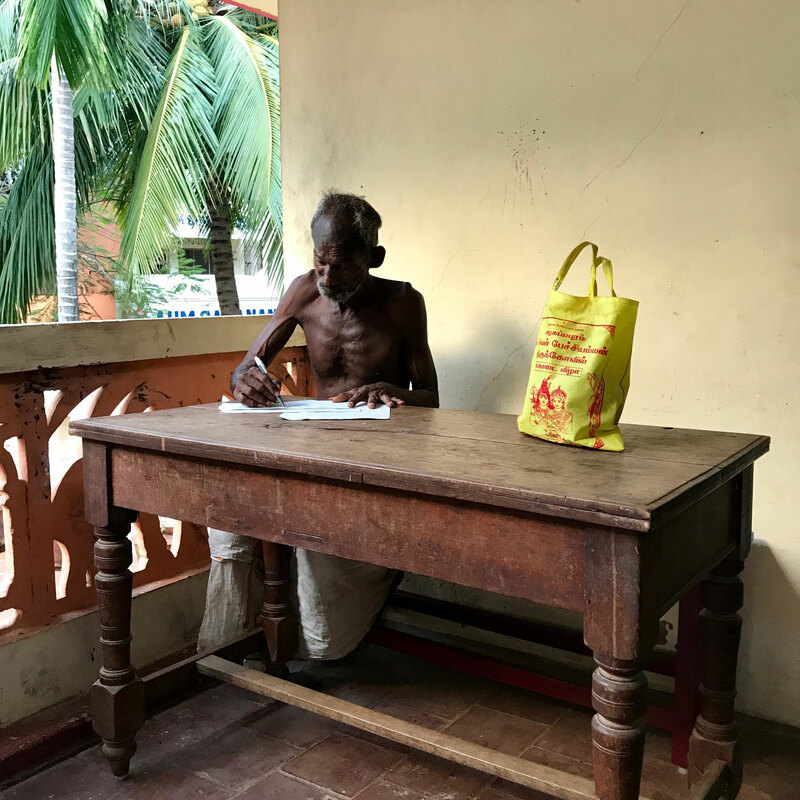 of 20 elderly persons could be constructed with the help of Italian sponsors. They are provided with shelter, food, medical care and other necessities of life. 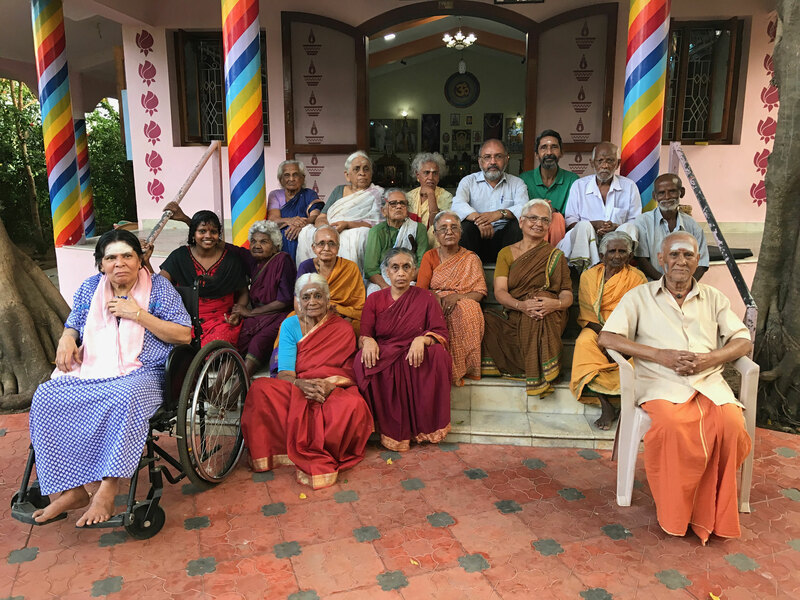 The Aum Pranava Ashram Old-Age Home was started in June 2003, when the founders decided to take up 2 abandoned old men from the streets into the ashram's fold and care. They had been working together in a canteen for nearly 30 years. The canteen was closed and neither of them had a place to stay. Until the recent past, people used to live together in joint families which provided social security to all the family members. Our ashram could actually be called a very extended joint family where all the members live together and know about each other. 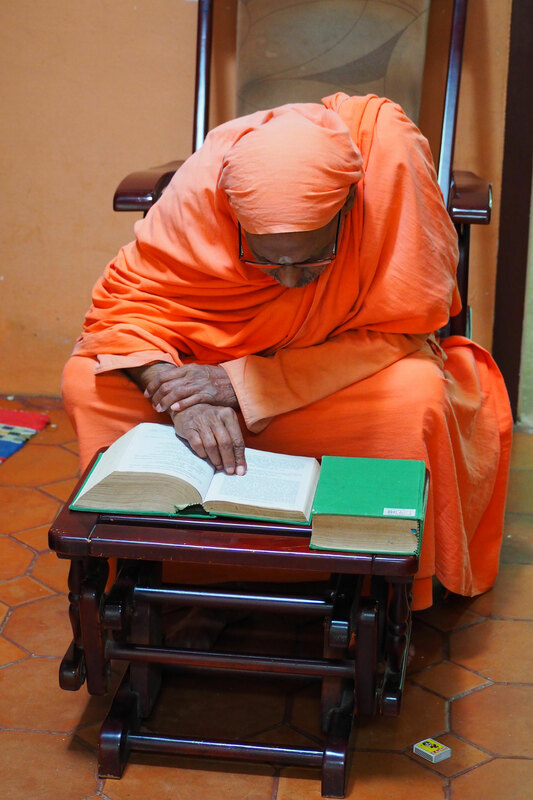 From our point of view, the greatest advantage for elders living together with children/young people is being continuously challenged to take part in life with all its imperfections and to show and receive love, thus protecting them from isolation, desolation and associated defunct brain.